Though the damage from that legacy persists, today APP receives a lot of positive attention for championing sustainability issues. Even the Forest Stewardship Council (FSC) says it may re-engage with the company. FSC previously disassociated with the paper firm in October 2007 for “destructive forestry practices," and a re-engagement would signal to conscientious commercial buyers that it may be okay to do business again with APP. Recently, TriplePundit published six pieces written by Leon Kaye that highlight APP’s sustainability initiatives for its operations in China and restoration efforts in Indonesia. Indeed, since adopting its current sustainability policy in 2013, APP has deftly promoted itself as an environmentally responsible business. But it has done so in a manner that conveniently overlooks the fact that the company is again expanding its operational footprint in ways that are fundamentally unsustainable. The company is building one of the world’s largest pulp and paper mills through its subsidiary PT OKI Pulp & Paper Mills in Indonesia’s South Sumatra province. And even before the mill starts production trials as early as October, the US$3 billion project has already caused considerable environmental degradation and social disruption, and there are compelling reasons to believe it will continue to do so for decades to come. Significantly, APP is building the OKI mill without first establishing a sustainable wood supply. The new mill will depend on fiber supplied from acacia plantations predominantly developed on drained peatlands, which pose significant environmental impacts and financial risks, according to a report released by 12 international and Indonesian NGOs in April 2016. When peatlands are drained for industrial plantations, they start subsiding and release tremendous amounts of carbon into the atmosphere. As is already happening on other pulpwood and oil palm plantations in Sumatra, the soil subsidence makes these areas increasingly prone to frequent and prolonged flooding, impacting productivity. Eventually, such areas become unviable for drainage-based commercial forestry such as Acacia plantations; and prolonged flooding may also impede any other commercial forestry or agricultural land-use, according to the findings of a Wetlands International report. While the degraded peatlands are subsiding to drainage limits, they can easily catch fire and burn for long periods of time deep into the organic soil. This is what happened in 2015 when terrible fires blazed across Indonesia’s forests and peatlands, part of the fall out from developing one quarter, or 3.2 million hectares, of peat areas in Sumatra and Kalimantan for industrial plantations (pulpwood, oil palm, and rubber) since 1990. The resulting haze caused over 100,000 premature deaths in Indonesia and neighboring Singapore and Malayasia, according to one recent estimate. The government of Indonesia said only 19 people died while acknowledging that at least 43 million Indonesians were exposed. The World Bank tallied economic losses in Indonesia from the fire and haze to exceed $16 billion, without taking into account economic losses in neighbouring countries. And the fires were similarly catastrophic for global carbon emissions levels. On the worst days the fires and haze emitted more carbon than the entire U.S. economy, and as an annual contributor topped Japan and Germany’s overall emissions. Remarkably, over a third of all the high-confidence hotspots on the island of Sumatra occurred in four APP supplier plantations in South Sumatra that have been developed to supply the new mill. Each of those four concessions is at least 70 percent covered by peatlands. One concession, Bumi Mekar Hijau, was recently found guilty of causing fires in 2014 and faces a $6 million fine; the Indonesian government has not yet begun to prosecute cases related to the 2015 fires, which were much worse. 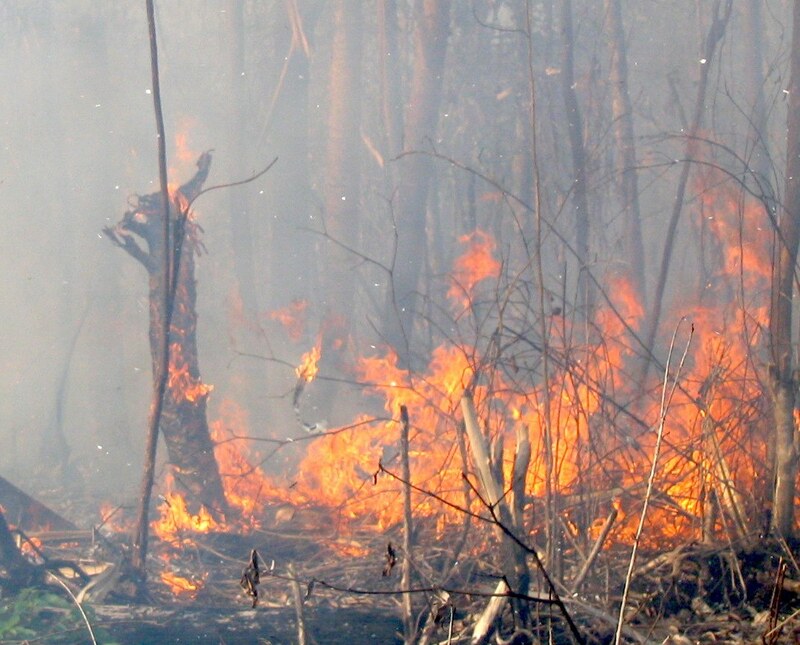 In early 2016 APP announced that it will spend US$20 million on firefighting systems, and it has been implementing a program for responsible peatlands management. These remedial efforts are “too little, too late” when looked at next to the company’s expansion of pulpwood concessions on peat since 2000. Indeed, APP has taken these actions well after the company and its affiliates cleared and drained hundreds of thousands of hectares of natural peat swamp forests, depleting biodiversity and effectively creating the incendiary conditions which allowed these areas to burn so intensely in the first place. Moreover, APP has done so just as it is putting the finishing touches on what may ultimately become the world’s largest pulp mill, a facility that will exert tremendous pressure on South Sumatra’s peatlands for many decades to come. This disaster is not likely to end anytime soon. The authors anticipate that APP will have to find new areas for pulpwood plantations when its current plantations on peatlands become unviable. The wood supply gap can be expected to grow as a result of the peat soil subsidence and related flooding, which is likely to reduce productivity over time. Options to address these issues involve the large-scale rewetting of peatlands by stopping drainage and using alternative species that can grow on such rewetted peatlands. APP is already trying out restoration and alternative species models, which is a positive step forward. If successful, however, these measures will probably result in lower productivity on pulpwood plantations, and, in turn, increase the pressure to expand the total plantation area. Much of this plantation expansion can be expected to occur, again, on environmentally sensitive peatlands and on lands that are claimed and managed by local communities, including indigenous peoples. This unfortunate cycle of peatlands degradation and plantation expansion will be the way Indonesia’s peatlands are lost and global carbon emission levels continue to escalate. So when Leon Kaye writes a series of six pieces for Triple Pundit on APP’s sustainability and does not detail the real and anticipated impacts of the OKI mill (or even mention the project), he seems to miss the bigger picture in which APP’s sustainability campaign is situated. A promising movement to make the private sector more sustainable is one of the world’s great hopes to curbing deforestation and global warming. The corporate sustainability community, which Triple Pundit serves, is doing remarkable things that encourage companies to adapt to more sustainable business models. But there’s a big risk when a company’s reputation improves a lot faster than its actual behavior merits. PR campaigns are easier and faster to orchestrate than field activities are to implement, so this is an understandable, though dangerous, situation. In the case of APP, the enthusiasm generated from its corporate sustainability initiatives has distracted from sober reflection about the group’s expansion plans. And so three years into its sustainability campaign, the OKI mill is about to expand APP’s wood demand in Indonesia by nearly 75 percent; the company has only resolved a handful of the hundreds of land conflicts it has with local communities; and two thirds of its plantation areas remain on high carbon peatlands and are not sustainable in the long term. The speed and scale of the OKI mill expansion signals to the authors that APP’s sustainability campaign may have helped the company to resuscitate its image, but it has not changed the underlying business calculus driving the company’s operations. But what will happen when the demands of business diverge from sustainable best practices? How will the company react, for example, when the sustainability policy makes it hard to find enough low-cost fiber to “feed” its three mega-scale pulp mills in Indonesia? And though the company claims it will prioritize its sustainability commitments, the OKI mill project involves a capital investment of US$3 billion in high-tech machinery and port infrastructure, much of which has been financed by loans from the China Development Bank. By contrast, APP’s Forest Conservation Policy is a set of stated intentions and targets. When the company’s loan payments come due, which will prove more durable? Christopher Barr is Executive Director of Woods & Wayside International. Aidil Fitri is Executive Director of Hutan Kita Institute in South Sumatra. Marcel Silvius is Programme Head of Wetlands International's Climate-Smart Land Use. Woro Supartinah is Executive Director of Jikalahari and a member of Eyes on the Forest. Ginger Cassady is Campaign Director of Rainforest Action Network. Syahrul Fitra is a legal researcher for Yayasan Auriga.